The American Bridge Company has contracted SKF to supply technological solutions for the Las Vegas High Roller, soon to be the world’s tallest Ferris wheel. SKF is providing Caesars Entertainment Corporation’s 170-metre-tall Ferris wheel with two custom-designed spherical roller bearings along with related technologies. 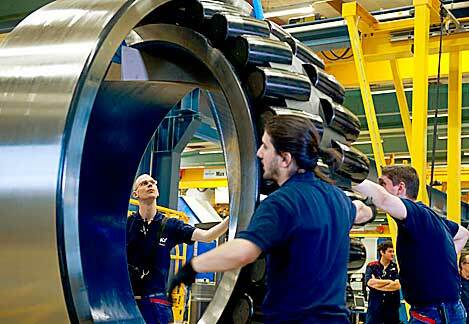 The two spherical roller bearings weigh approximately 8.8 tonnes each, with a 2.3-metre outside diameter.